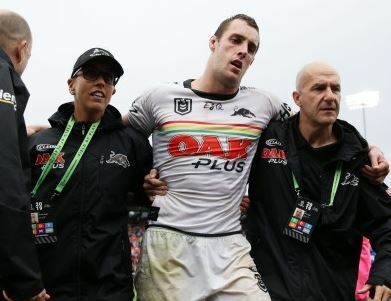 Isaah Yeo will return for the Penrith Panthers against Wests Tigers after several concussions kept him out of last weekend’s loss to Melbourne in Bathurst. The forward was knocked out in round one against Parramatta and was again seeing stars the following week against the Knights only to return to the field to the shock of many fans on social media. But Yeo says he is good to go for Friday night football and a grudge match against local rivals Wests Tigers. “The head’s going fine, obviously I had bit of a precautionary week off last week and just, sort of, normal concussion protocols this week,” he told Macquarie Sports Radio. A big crowd is expected with the neighbouring clubs both desperate to get back into the winning circle.